Take advantage of face time with the vineyard owners and their staff. Ask for the history behind the wine, how the grapes were grown, how the wine was blended, why it was made this way...you can even ask to see the exact patch of land the grapes came from. You’ll be able to see firsthand the joy and passion these small vintners put into their wines, and probably pick up quite a bit of interesting wine lore along the way. Don’t fight geography or local tradition. Looking for a local Pinot Grigio in Tuscany, for example, could prove very frustrating. Instead, be open to try local grape varietals you may not know rather than sticking to wines that have been prepared for the international market. This way, you’ll challenge your palate and expand your knowledge of both the wine and the area. Visit smaller vineyards; you'll get more (and better) attention. Of course, it's not that larger or more well-known vineyards don’t take care of their guests, but the experience is less personal. At a large vineyard, you’re more likely to be escorted around by a trained guide, not the owner...or their nephew. Instead, at smaller cantinas, it’s less tourist schtick and more personal welcome. Be careful about how you store your wine...not just once you get home, but from the moment you leave the vineyard. A hot car is no place for a great bottle (or case) of wine. If you are not going to be able to store your wine well until you get home, find out if the vineyard can ship it for you (most can). Protect yourself and hire a driver! The best vineyards offering the most authentic experiences are generally off the beaten path...literally. It may take you the better part of your day just to find your way there. Also, blood alcohol levels for DUI fines in Italy are extremely low and, just like anywhere else, drinking and driving is not worth the risk. So rather than spend your day worried about how much you’ve imbibed, let your driver take the wheel and you take the glass. Tenuta Capezzana in Carmignano: They’ve been making wine here since 804. Not 1804. 804. This winery is not far from Florence, so an easy day trip into the surrounding countryside. The Bonacossi family, through a tangled genealogical tree including everyone from the Medicis to the Rothschilds, has been bottling vintages here since the Renaissance. 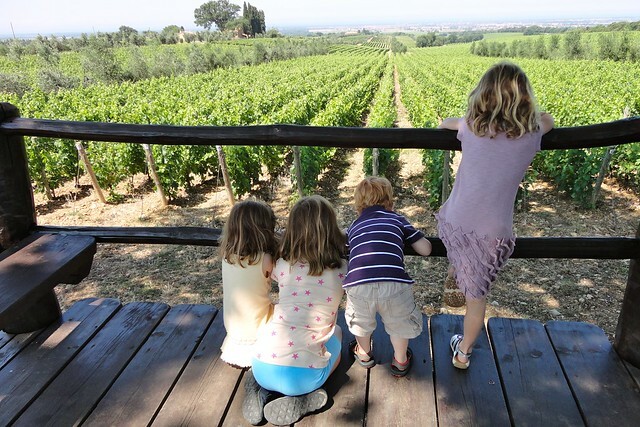 Podere la Cappella in San Donato: Another excellent family-run winery near Florence, this estate is a favorite among our clients for the warm welcome, intimate visit, and genuine “what a find!” feel. Of course, the wines—including Chianti Classico and a number of Super Tuscan blends—are excellent, as well. Casanova di Neri in Montalcino: Located in one of the most postcard-perfect corners of Tuscany, this cantina overlooks rolling, vine-covered hills as far as the eye can see. They also produce olive oil and offer agritourismo accommodations, for those who want to live the winery experience. Tua Rita in Bolgheri is great if you're a collector of prestigious wines. You can't buy wine here but you can see the vines and visit the estate that produces Redigaffi, one of Italy's premier wines. We also like Poggio Amorelli in Castellina in Chianti, They do host tour groups, but you can still have a private experience. 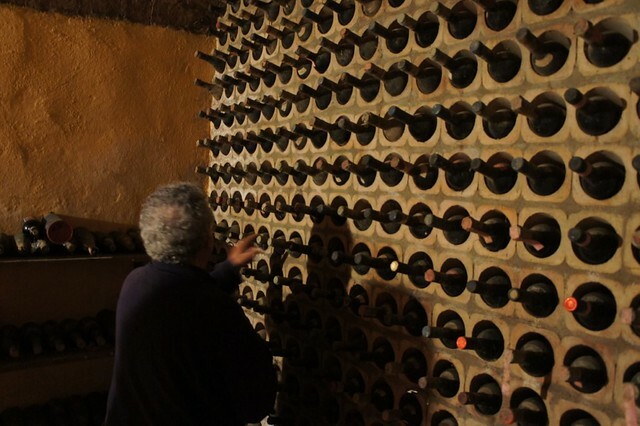 If you don’t have the time or inclination to tour a winery, but are still interested in sampling local vintages, many of the most important wine producing areas have an “enotecas regionale”, or a wine bar run by the local government or wine consortium and featuring a number of local labels. In Piemonte, we've sampled local wines at the Castello di Grinzane and Banca di Vino enotecas. There are also good enotecas in Orvieto at the Palazzo del Gusto for Umbrian wines and in Siena in the Fortezza Medicea for Tuscan wines.